Mexico’s Interior Minister Miguel Osorio announced the creation of a Commission for Dialogue with Indigenous Peoples last week, raising the possibility of fresh talks between the government and the Zapatista Army of National Liberation (EZLN). A positive response from the EZLN is unlikely. The Zapatistas have rejected any dialogue with Mexico’s political parties since the National Action Party (PAN) and the Party of the Democratic Revolution (PRD) supported the Institutional Revolutionary Party (PRI) in reneging on the terms of the San Andres peace accords signed by the PRI government in 1996. 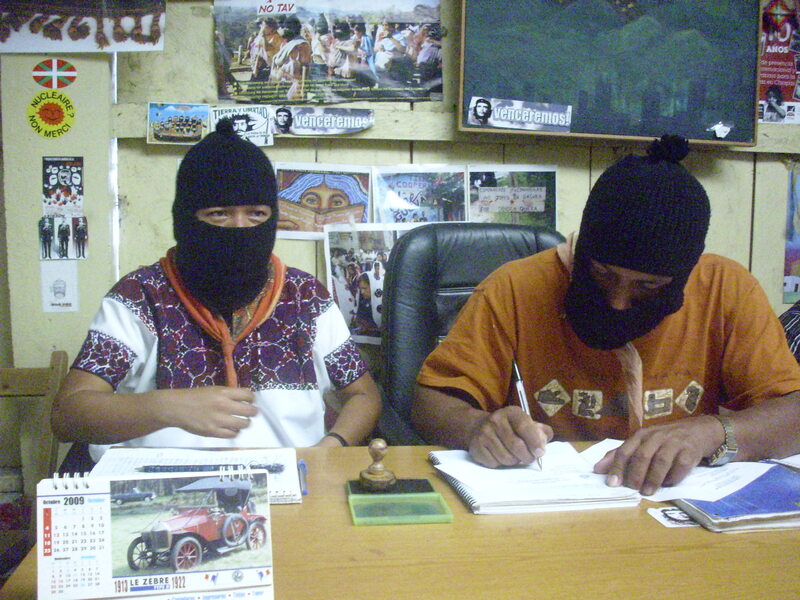 Having kept a low profile in recent years, EZLN spokesman Subcomandante Marcos has resumed publishing regular communiques online since around 40,000 Zapatistas reemerged in silent marches across Chiapas on December 21. While the Zapatistas offered no direct reply to Osorio’s announcement, Marcos responded in characteristic fashion to the news that President Enrique Peña Nieto had announced a “crusade against hunger” on Monday. In a letter entitled, “Ali Baba and the 40 Thieves (governors, heads of government and bootlickers)” Marcos wrote, “We cannot find words to express our feelings about his Crusade Against Hunger, so here goes, without words…” The text was followed by the image of a raised middle finger.